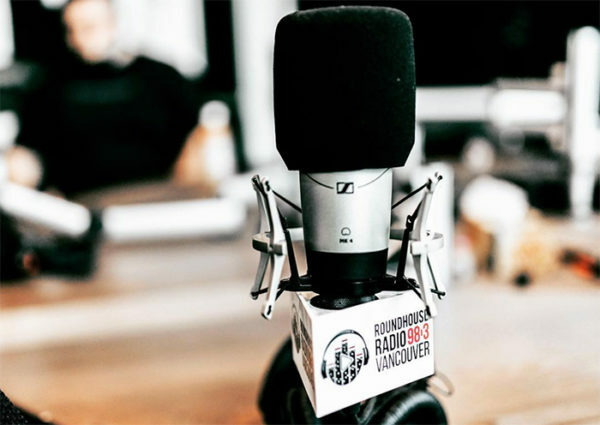 We’ve just learned that Roundhouse Radio 98.3fm has been sold. The beleaguered station announced it would be going off the air on April 30th, then it took that back just as the general manager and founder Don Shafer left, offering hope that they might be sticking around. The station will officially go off the air on Sunday night at 9pm, after Jim Byrnes’ show. The buyer has yet to be announced, along with whether or not a new station brand and direction will take over Roundhouse’s signal or if they will continue with the name and mandate. A CRTC approval will soon be pending, and we should learn more shortly. “CIRH FM has received an offer from a company to take over operations of the station. No transfer of operations can be made without CRTC approval so effective May 6th, 2018 at 6 PM PST, Roundhouse Radio will cease broadcasting. Further updates will be made by the purchaser when information is available. On behalf of the Ownership Group, management and our staff, we wish to thank the community for their heartfelt support. Kind of a good news/bad news story. I don’t quite understand the rationale for completely going dark if the station has already been sold? Usually when a station is sold–the seller kepps it operational until the sale is approved. Since the seller in this case has long since tapped out–there is no one to maintain operations. As in, keep shovelling money down the hole. If/when CRTC approval is given for the sale, and the new owner’s plan (format, power etc.) is accepted, then 98.3 will come alive again. Why wouldn’t roundhouse keep something broadcasting just so there’s no silence on the station? Put something, ANYTHING on air. What’s the point of dead air? I would imagine that it comes down to money. Doesn’t it always? And cutting losses. To keep something on the air, anything at all, would cost money that no one is prepared to pay at this point. Where would it come from? And seeing as this spot on the dial didn’t have anyone listening anyway, there is no loss when it goes dark. It’ll be interesting to see what happens now. Who could possibly benefit from this limited and weak signal? We shall see. This whole thing is one big debacle after another with NO care whatsoever for the listeners who try to suppport local media only to be jerked around with fake promises and over hyped untruths on a never ending around the dial yo-yo spin. If not for this website, we would know absolutely zilch about the local media we are prompted to support blindly while hosts and shows disappear without warning and we are ad naseum advised to ‘stay tuned’ by executives and hosts alike. We are not sheep, we deserve better and must demand better. A radio signal that actually reaches listener’s would be a start and executives who actually listen, an even better one. Listeners don’t support a radio station, advertsers do. In theory, listeners then suppot the advertisers. The new buyer doesn’t own the station yet–and until the sale is approved there’s no sense throwing money at it. Would you start renovating a house before your mortgage was approved ?? More than likely going ethnic and looking for a power boost before turning it up again. Rumour has it, C-C will be going to 1410. In the meantime, you should be able to pick up KGO 810am from San Francisco, or even closer on fm, KIRO 97.3 Seattle. I thought a Bellingham station was also carrying? Larry – lol…would you consider approving a mortgage for ‘non existent’ space(weak signal, no listeners, terrible content etc.) because you imagine a renovated house in its place?! Listeners stay loyal to quality programs and hosts they trust, not the gazillion ‘my pillow’ ads. C2C lost listeners according to the many comments on this website once it switch to RHR because of the over sauration of ads and George Noory’s endless self promotion of events and products that was not fully heard on CKNW. People stayed tuned through the shoddy signal and all and just put up with the ads because they valued the content, despite the ads, not because of them. Kinda like the what came first theory: chicken or the egg. I do respect your outside the box thinking and insights. PSR Staff – C2C is still available on CFAX on the Island but it too can be spotty reception for those on this side of the water. Curious if someone local will pick it up. Thanks for the Seattle and SF stations, I was unaware. 1410 now plays the Jim Rome show late night from San Francisco beginning at midnight. Rob Fai is on from 10pm – midnight before Rome so I don’t know where C2C would fit in. A valuable thread might be to ask what people are listening to with all of the changes. With playoffs, sports radio is good but I would appreciate recommendations for in-depth news other than CKNW, CBC or News1130 or is that it besides speciality business and ethnic channels. EDITOR’s NOTE: Elle, I think you mean 1040 for the late night programming above. They have picked up a number of features from the old TSN 1410. 1. You don’t need any “radio” to listen to C2C…..use the internet for streaming. 2. I hope Jody ANTI TRUMP Vance gets the boot……. PSR Editor – oops, my bad. Richard – having an opinion that differs from yours does not warrant losing one’s livelihood. Democracy is beautiful as is the free will to choose what one listens to/views and reads. Elle If you want Canadian talk with more balance than NW or CBC usually have you might want to check CFMJ which is Corus Toronto, not perfect but better than the local options. Outside of provincial election talk (which is interesting now) there is a lot of national talk which anyone in Canada will appreciate. Easily available online including Alexa type devices which are easier to use than a traditional radio. Lots of people “lose” their livelihoods for being “poor celebrities” and “fake news” promoters. Jody has “chosen” to be a Radical Left ANTI Trump mouth piece…….and its going to get her fired as the LEFT continues to lose more and more support. As you said…..”Democracy” is beautiful when it works…….Too bad the FAKE TOLERANT LEFT only promotes Marxism/Fascism. It will become a bupinder station playing continuous dhaliwal music 24/7 because there are two dhaliwal stations in surrey that are broadcasting illegally on low power temporary permits. The government doesn’t clamp down because they don’t want to lose the dilly dhaliwal votes. East Indian radio, here we come !